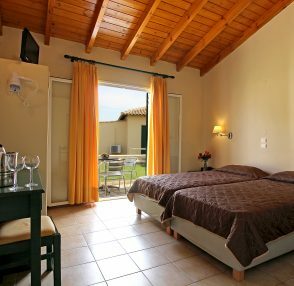 Set in the extensive grounds of the resort, the different types of accommodation are fitted with tasteful furnishings in earthy tones. 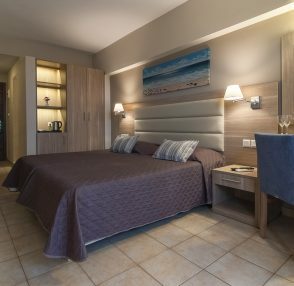 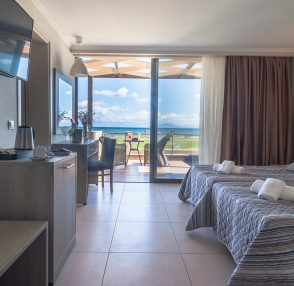 All rooms feature basic amenities offering convenience and a family-friendly atmosphere making for a relaxing holiday guaranteed to fit your family’s needs. 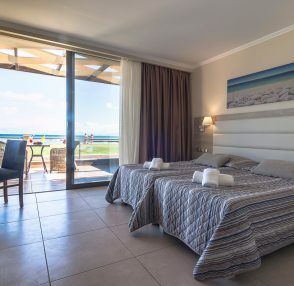 Only a few steps from the beach all rooms give unobstructed views of either the sea, the pools, the well-kept gardens or the beach. 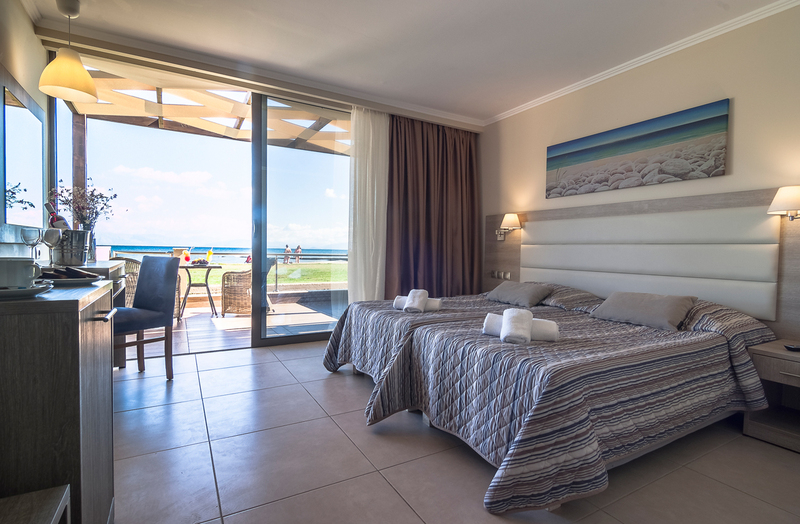 Situated directly on the beach the beachfront bungalows, renovated in 2015, offer elegant ambiance with private terrace, individually controlled air-conditioning and bathroom with shower. 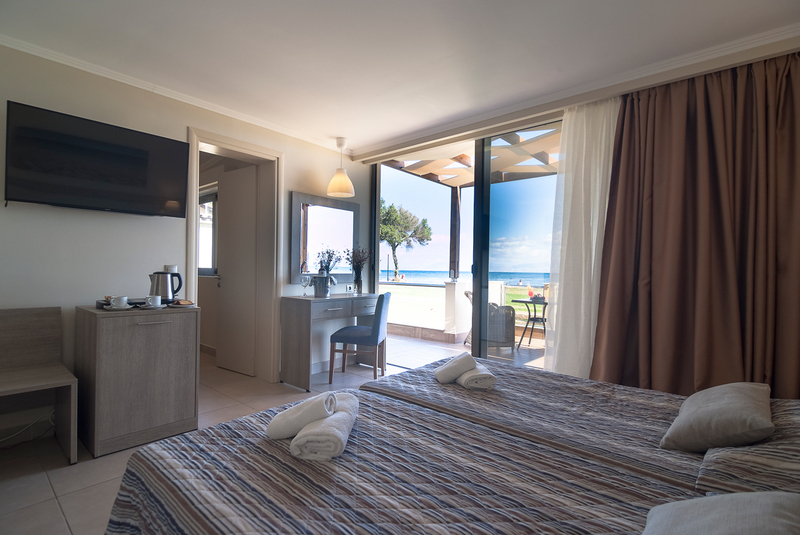 Each bungalow has stylish furniture and a delightful view of the Mediterranean Sea and mainland Greece. 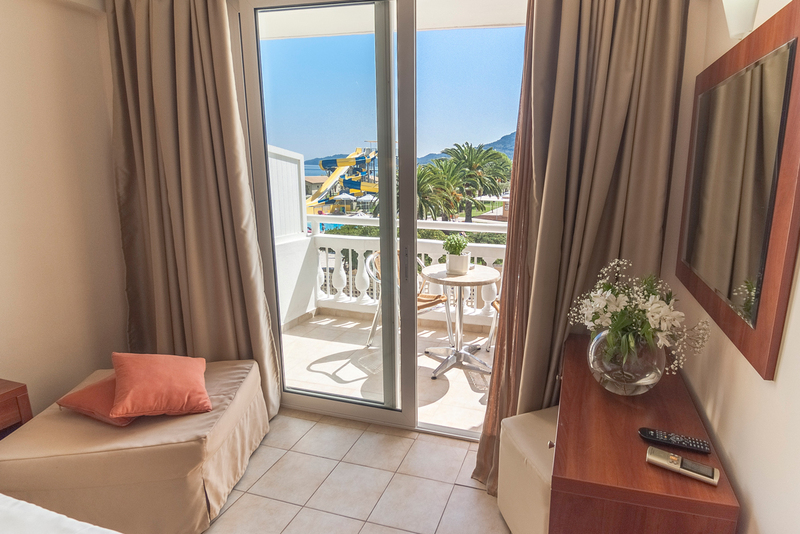 A few seconds is all it takes for swimming and sunbathing. 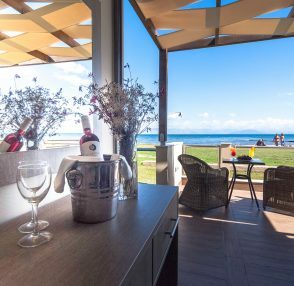 Treat yourself to a holiday in a beachfront Bungalow! 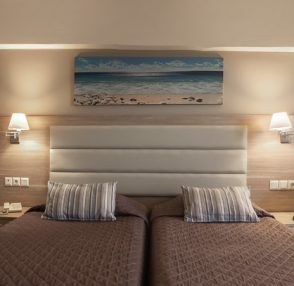 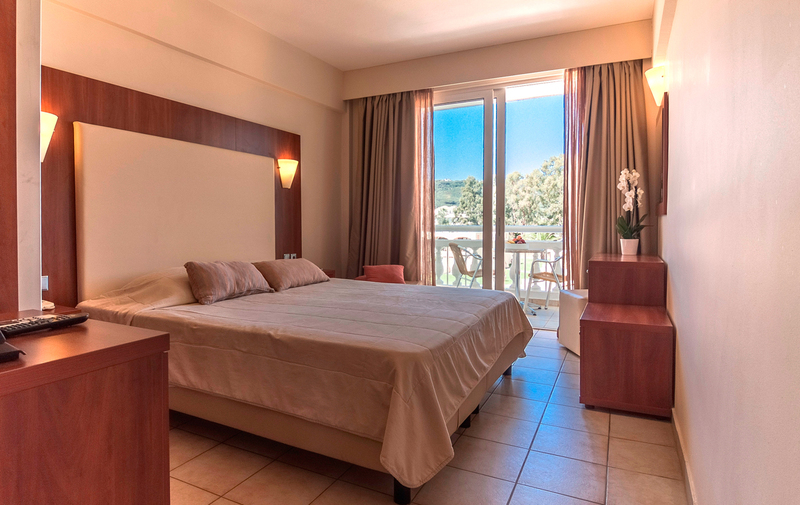 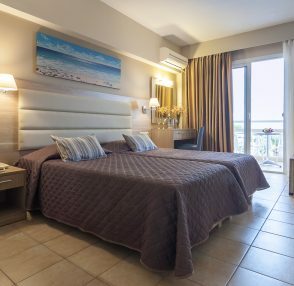 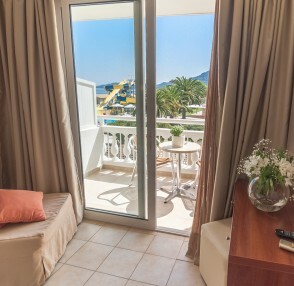 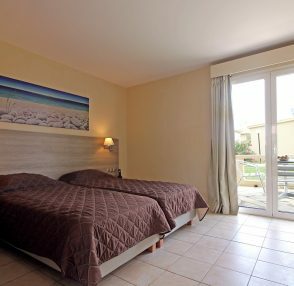 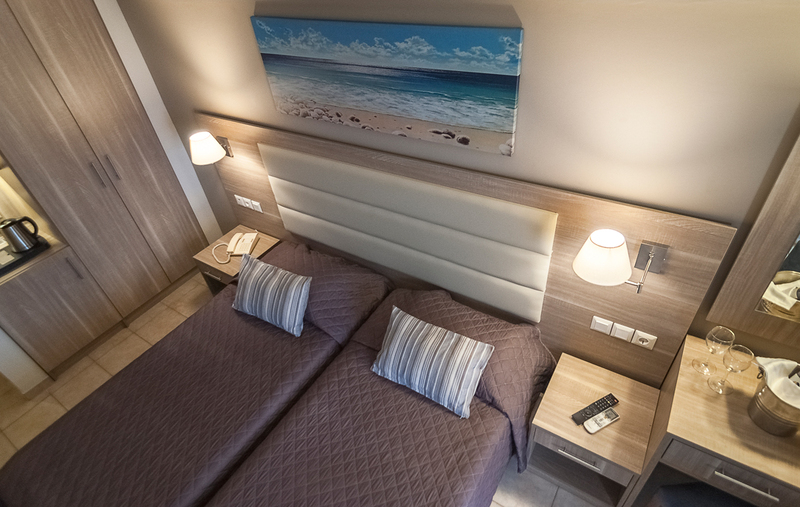 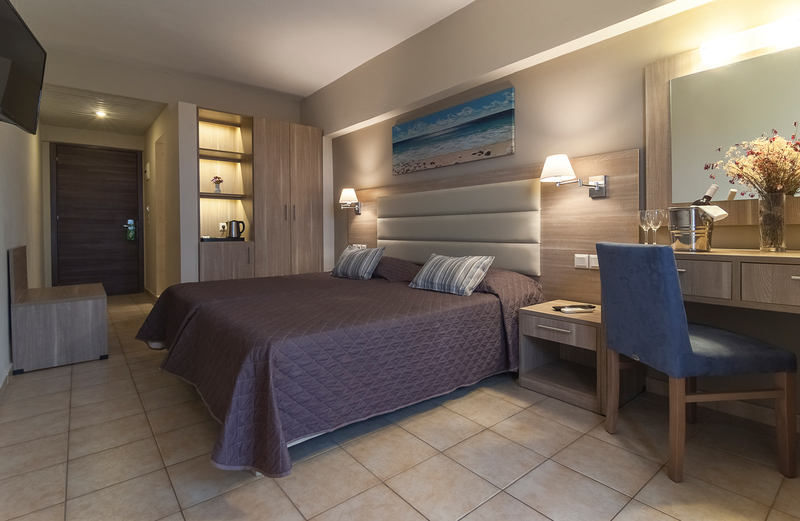 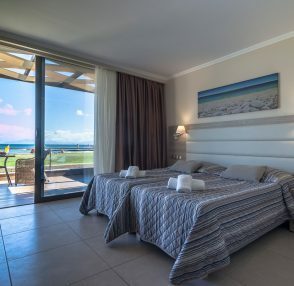 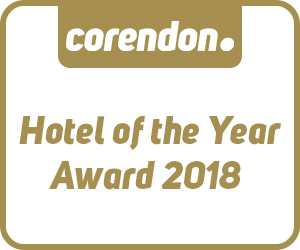 Extra features include: direct sea view and beach access, spacious balcony with private luxury sunbeds, newly refurbished room, two single beds or matrimonial bed option, T.V. 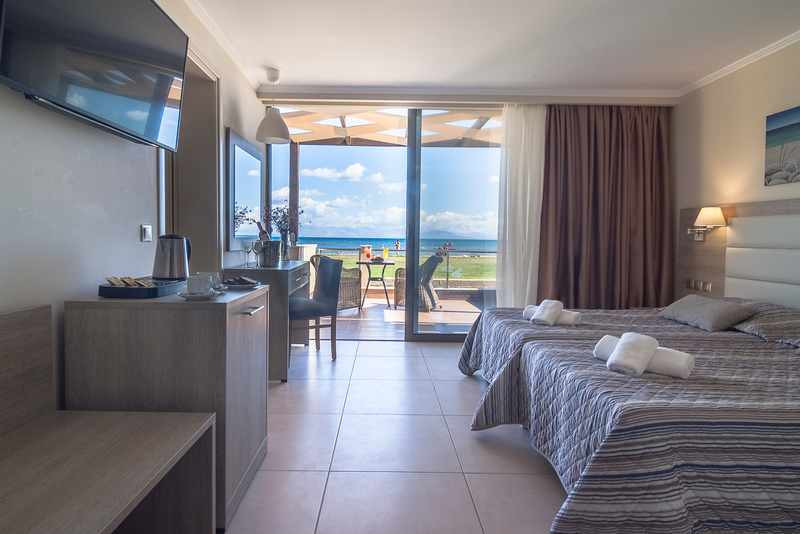 set 43″, mini fridge, safe Box, coffee and tea facility, free water slides, one free SPA treatment voucher. 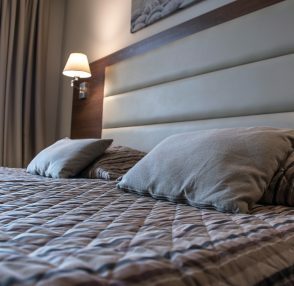 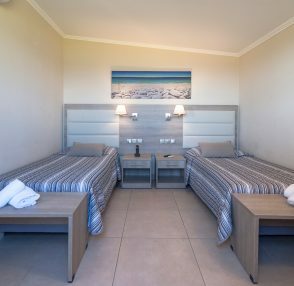 There are two types of Superior Bungalows: Twin (one bedroom with 2 single beds) and Family (2 interconnecting bedrooms each with 2 single beds). 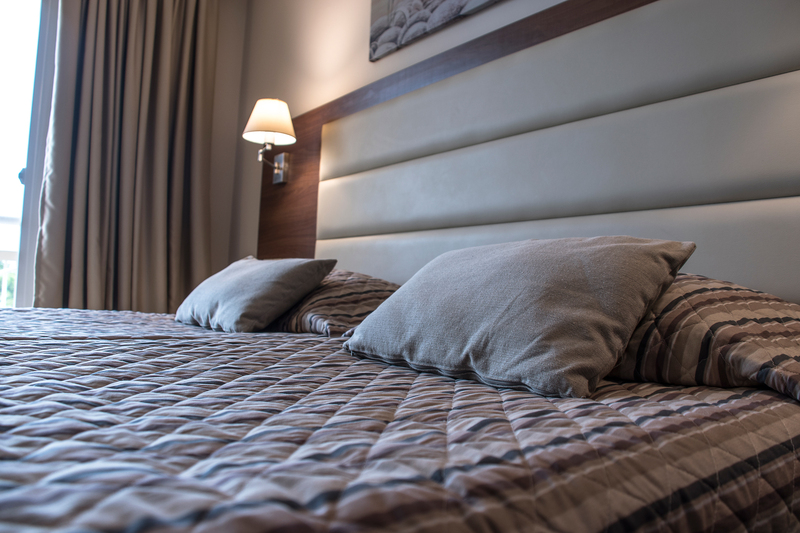 Daily cleaning service is provided and bed linen is changed every three days. 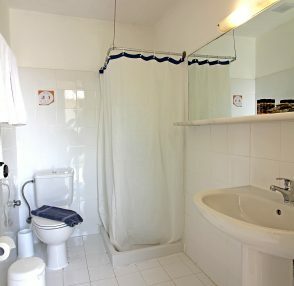 Towels are changed every two days. 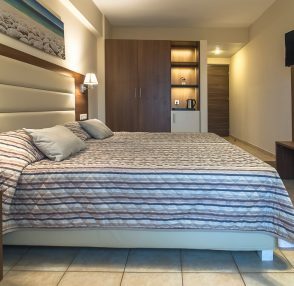 Superior Plus Twin Rooms were renovated in 2016 and are stylishly furnished. 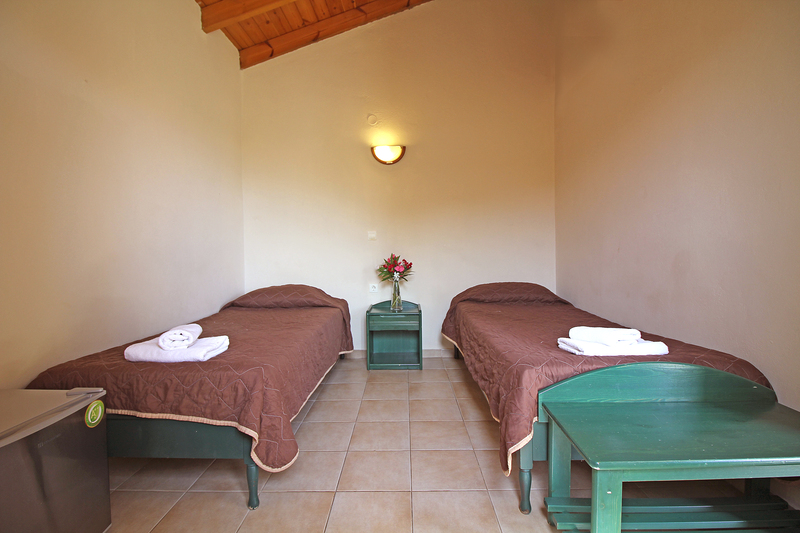 These rooms consist of 2 single beds, an extra bed is not possible, a baby-cot can be added upon request. 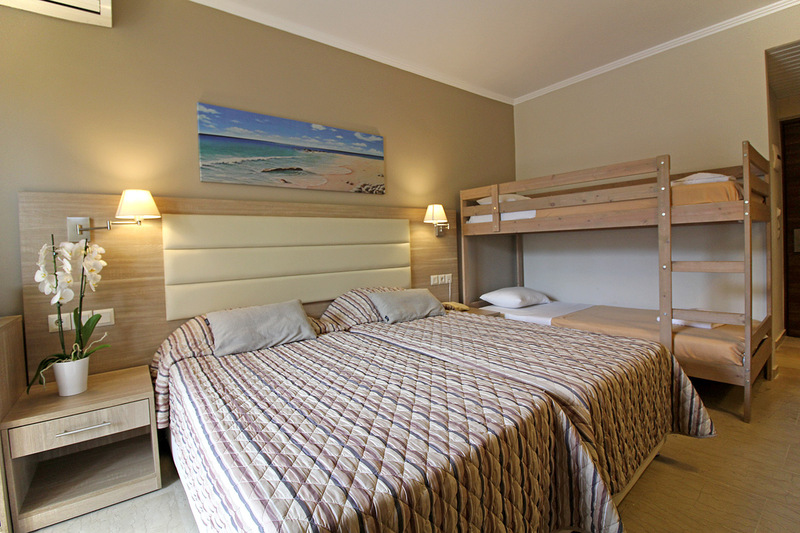 They are equipped with air-conditioning, satellite-TV set 42” , a safe Box, coffee and tea facilities and mini-fridge. 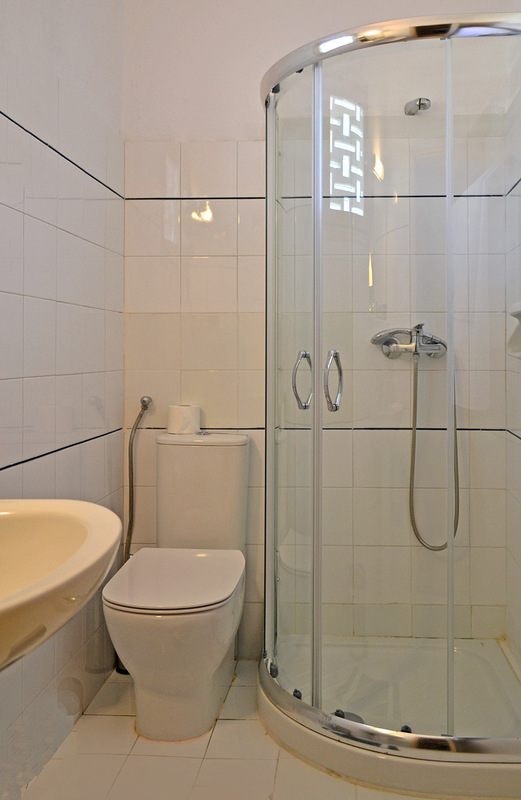 The bathroom is equipped with a shower and hairdryer. 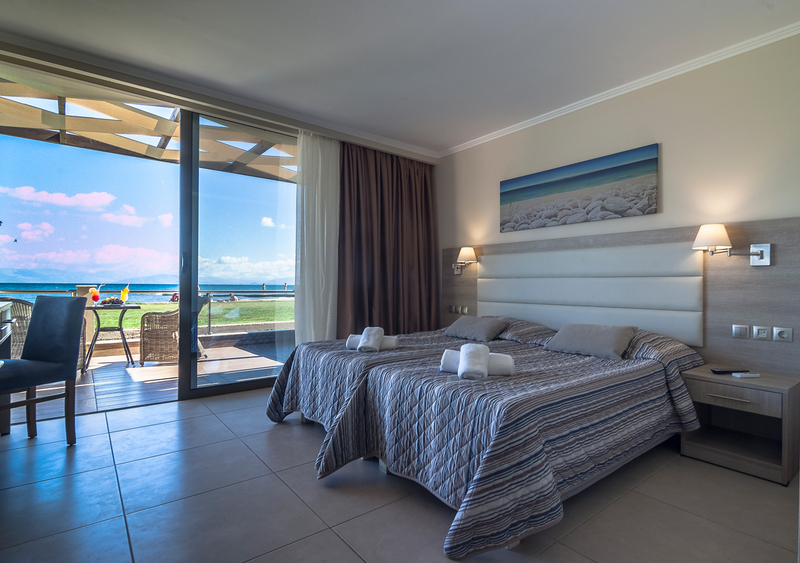 Wi-Fi access is accessible upon request and for an extra charge. 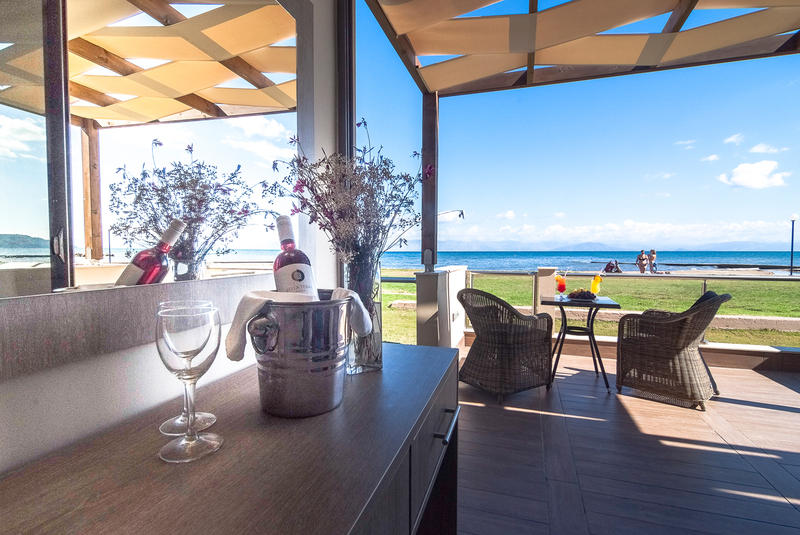 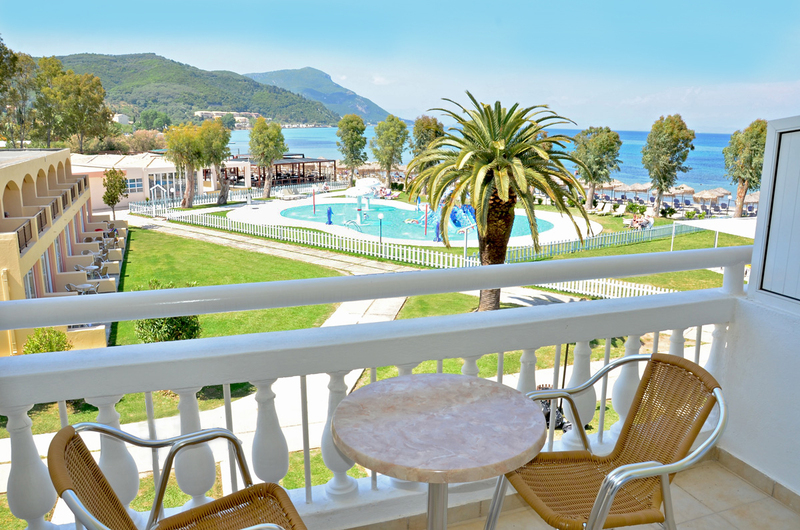 Guests can relax and enjoy unobstructed views of the sea or the beautifully landscaped gardens on their balcony which features a table and chairs. 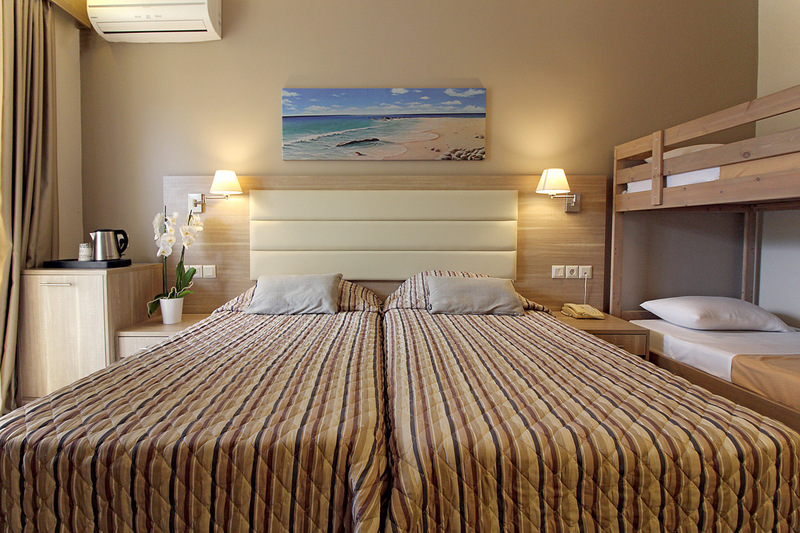 Daily cleaning service is provided and bed linen is changed every three days. 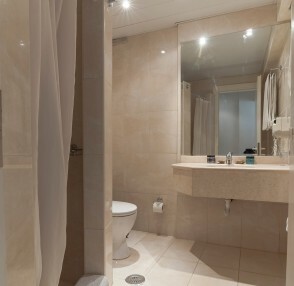 Towels are changed every two days. 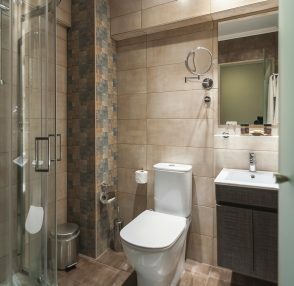 New for 2017, Superior Plus Family rooms are stylishly furnished, they have ground floor garden view with en-suite bathroom and terrace. 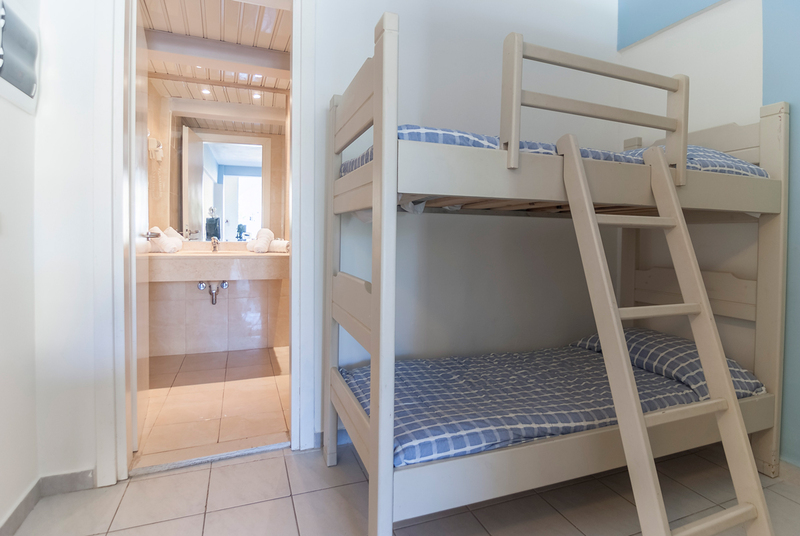 These rooms consist of 2 adjoined single beds and a bunkbed (for 2 children). 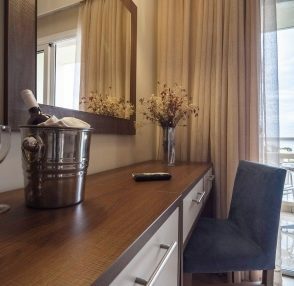 They are equipped with air-conditioning, 42″ satellite TV, safe deposit box, tea/coffee making facilities and mini-fridge. 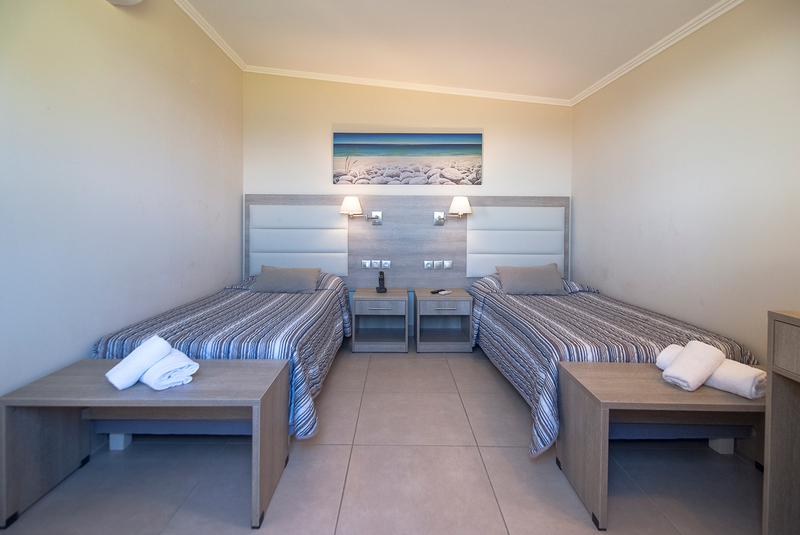 Wi-Fi access is provided upon request and at extra charge. 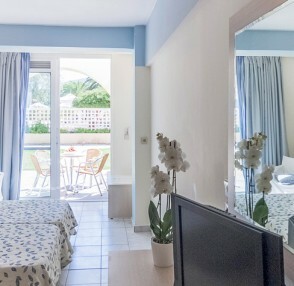 This type of room has garden view. 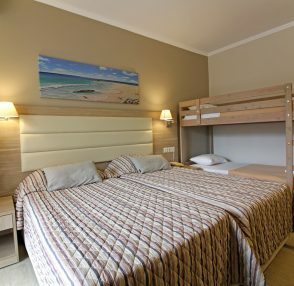 Superior Twin rooms include 2 single beds with space for a third fold-out bed or a baby cot which can be added, if required. 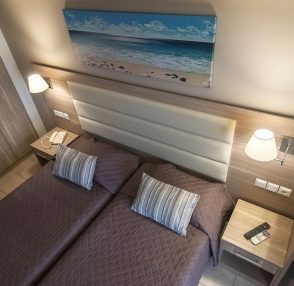 The Superior rooms are more stylishly furnished and are equipped with air-conditioning, satellite TV, and mini-fridge. 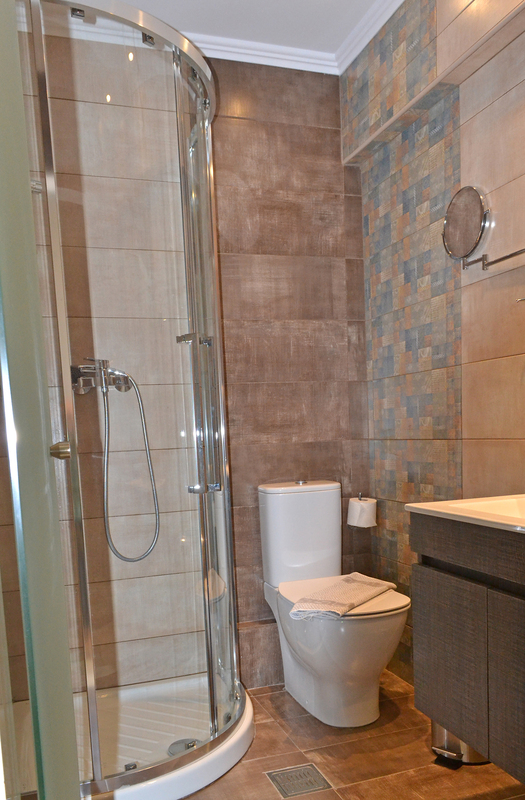 The bathroom is equipped with a shower and hairdryer. 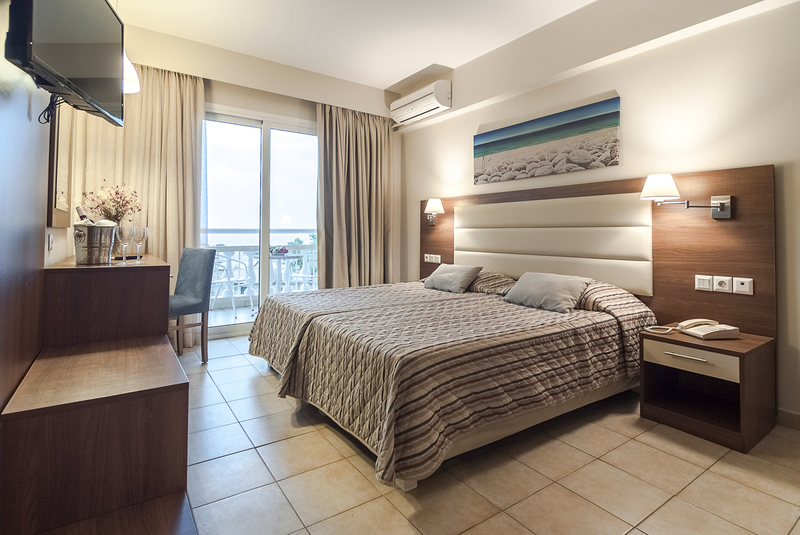 Wi-Fi access is accessible upon request and for an extra charge. 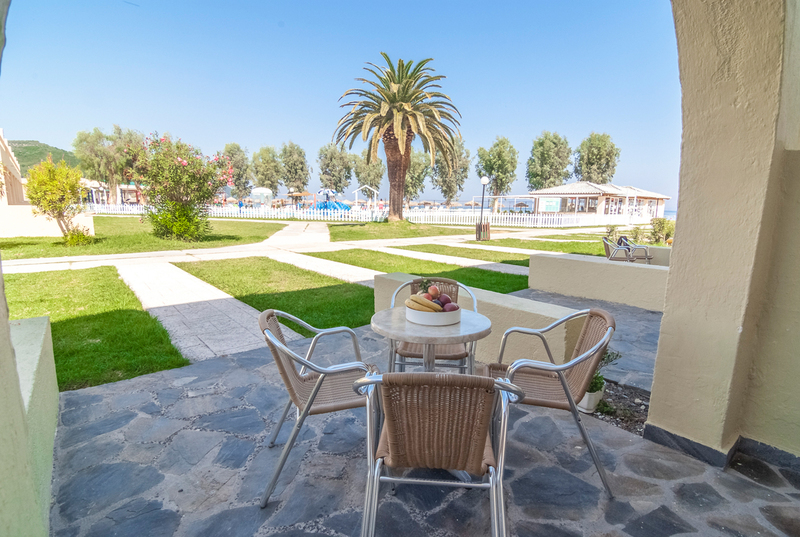 Guests can relax and take in unobstructed views of the sea or the beautifully landscaped gardens on their balcony or terrace, which features a table and chairs. 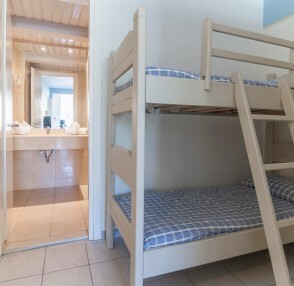 Superior Family rooms are more spacious than the twin rooms and consist of either 4 single beds or 2 single beds plus bunk beds for 2 children. 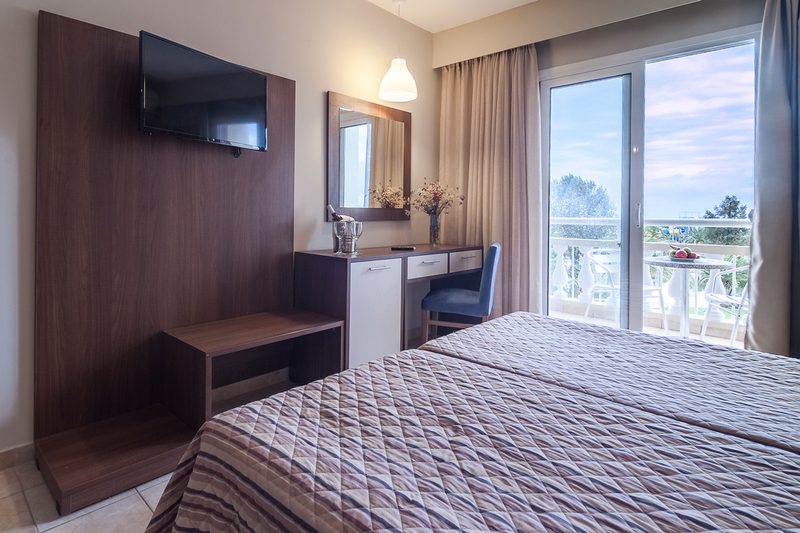 The Superior rooms are more stylishly furnished and are equipped with a mini-fridge, a satellite TV, air-conditioning. 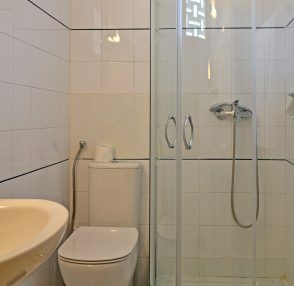 The bathroom is equipped with a shower and hairdryer. 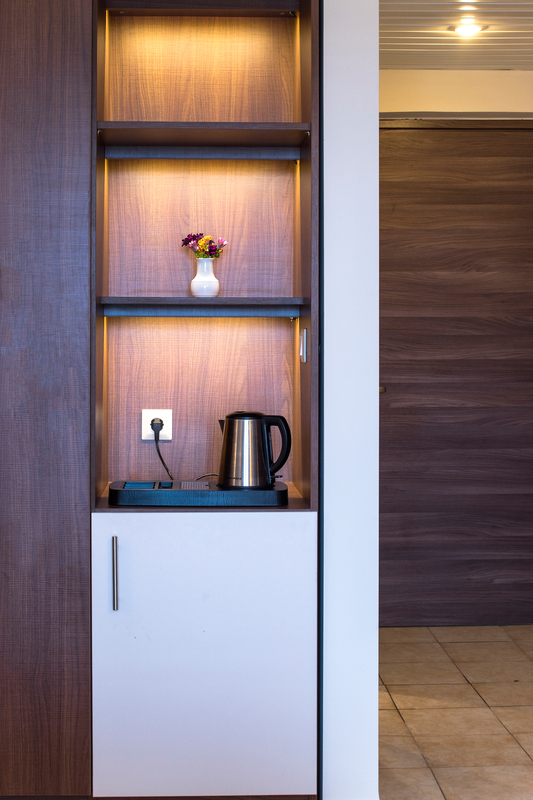 Wi-Fi access is accessible upon request and for an extra charge. 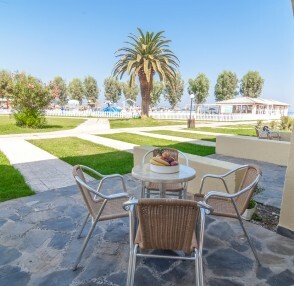 Guests can relax and take in unobstructed views of the sea or the beautifully landscaped gardens on their balcony or terrace, which features a table and chairs. 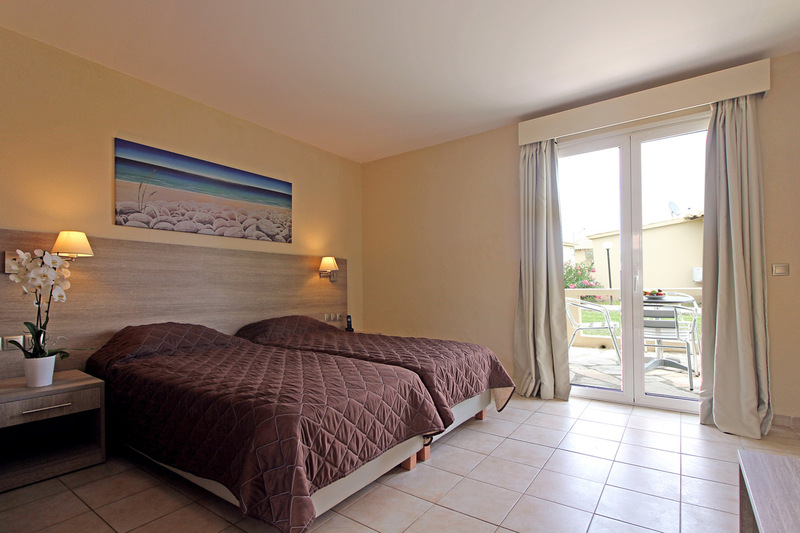 Superior Family 2-Room consists of 2 separate rooms and is ideal for larger families. 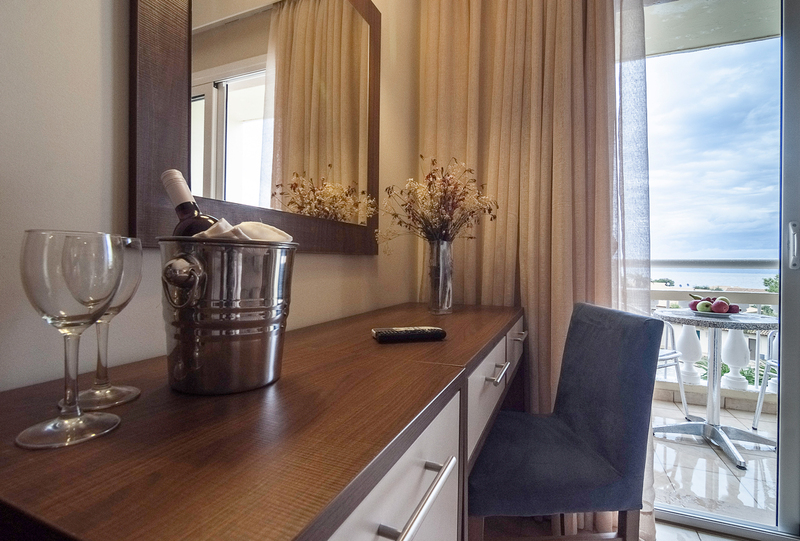 The Superior rooms are stylishly furnished. 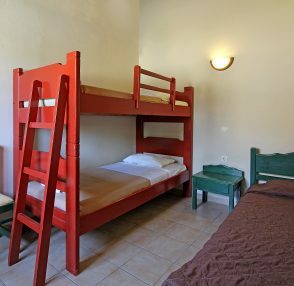 One room includes 2 single beds and bunk beds and the other room includes two single beds. 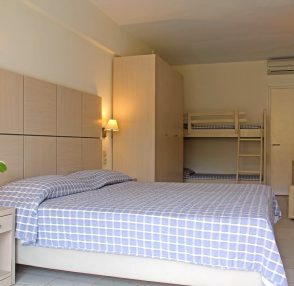 A total of 5 persons can be accommodated. 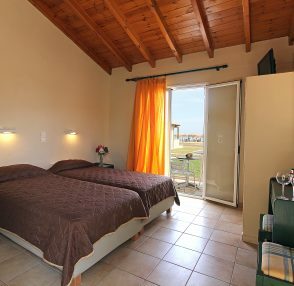 Both rooms have air-condition and satellite TV and are equipped with a mini-fridge. 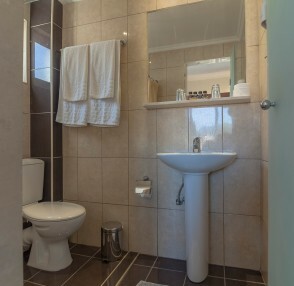 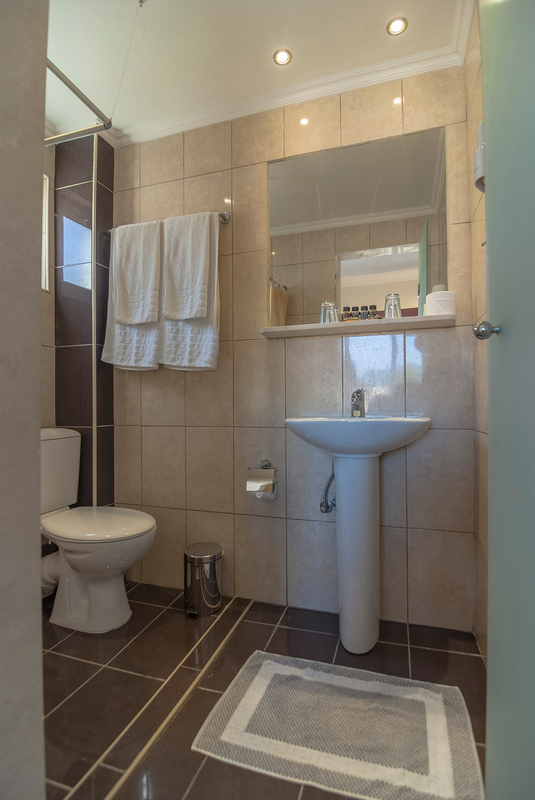 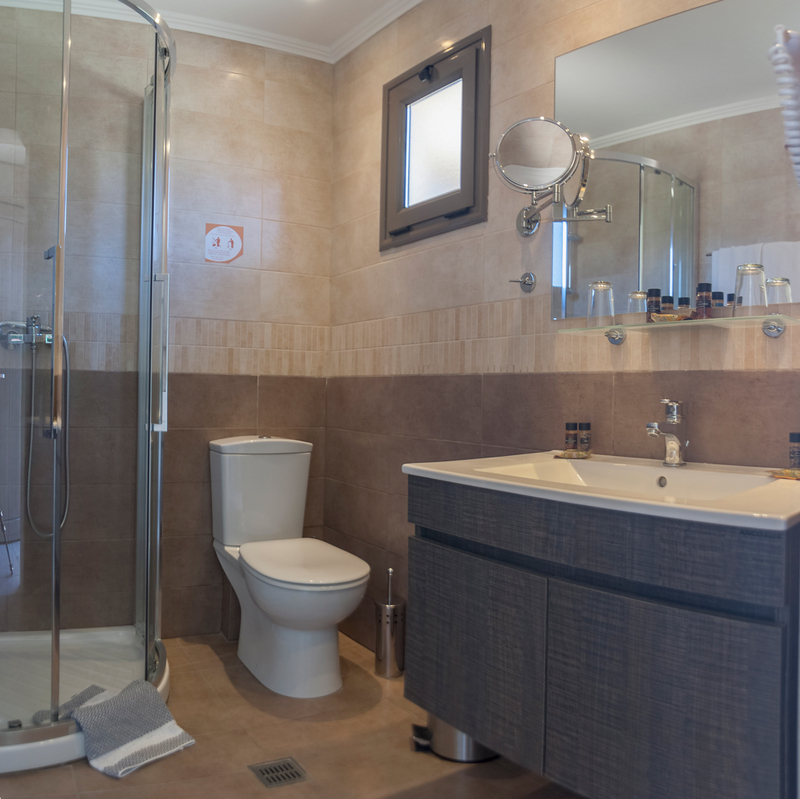 The bathroom is equipped with a shower and a hairdryer (in some rooms the hairdryer has to be requested at the reception with a small refundable deposit). 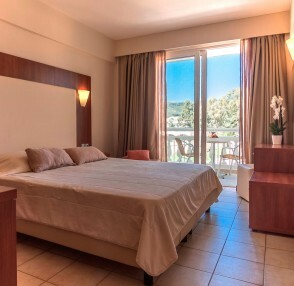 Wi-Fi access is accessible upon request and for an extra charge. 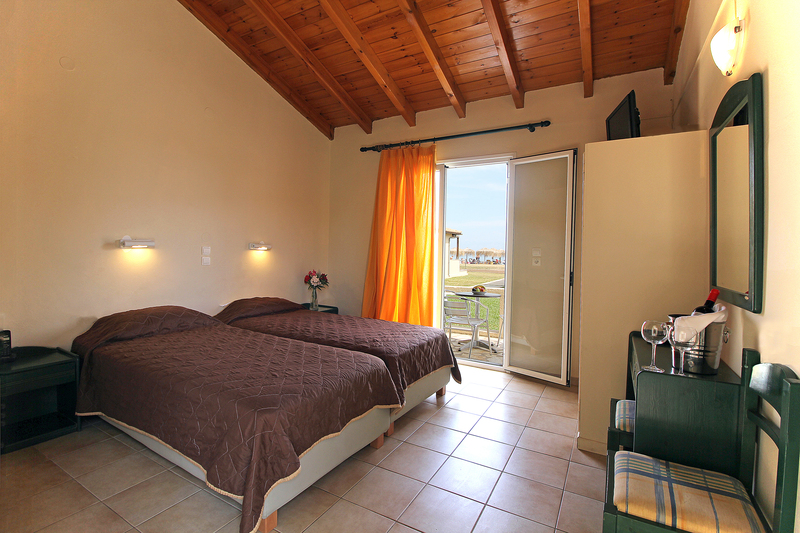 This type of room has garden view and can be accommodated in the bungalow area or in the River House building. 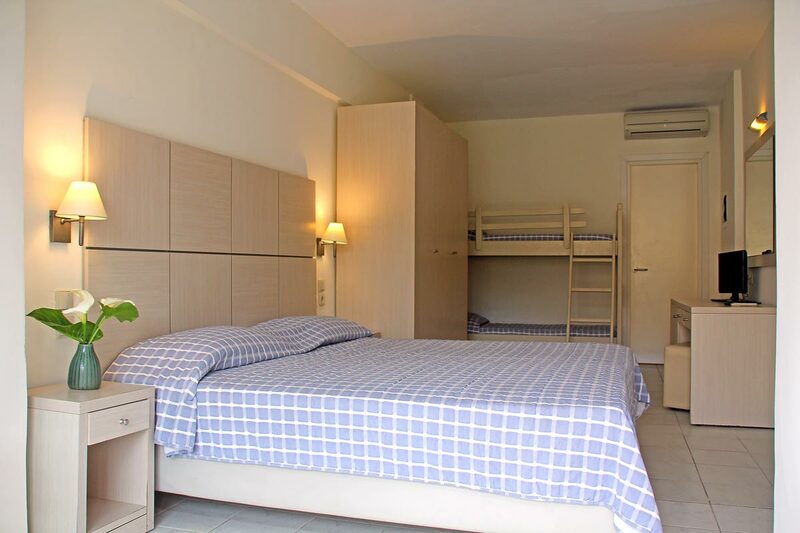 Comfort Family 2-Room consists of 2 separate rooms and is ideal for larger families. 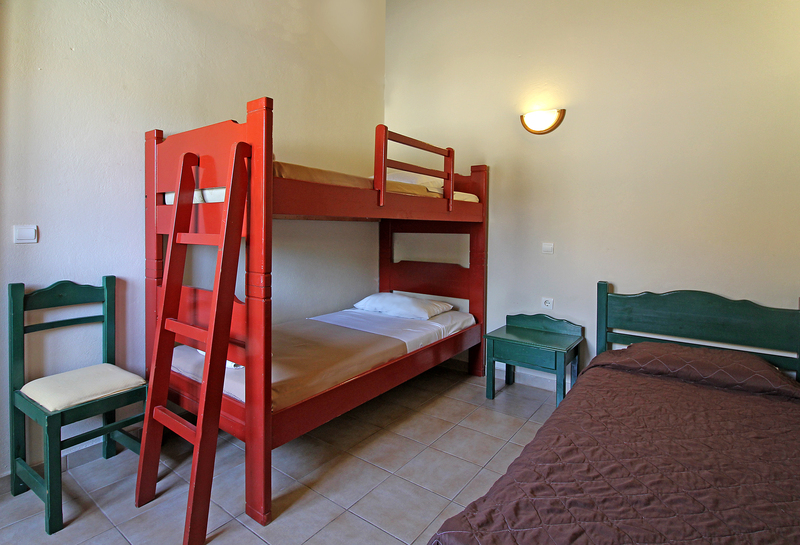 One room includes 2 single beds and the other room includes a single bed and bunk beds or two single beds. 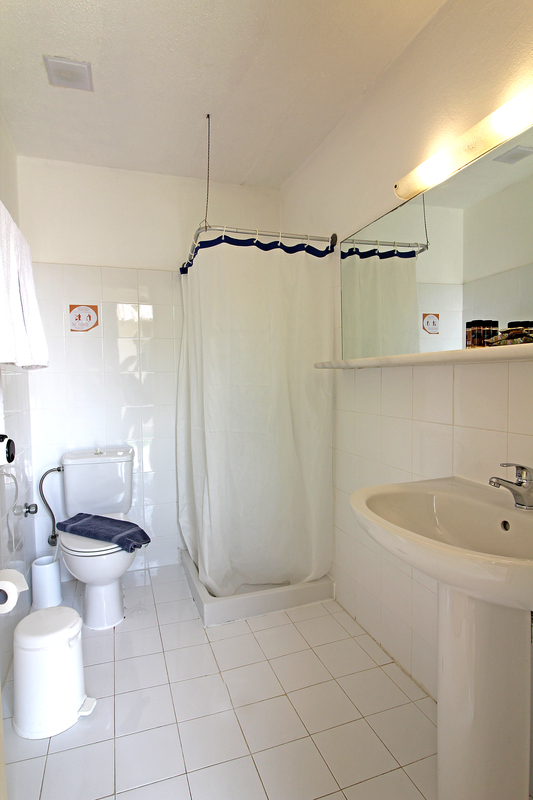 A total of 5 persons can be accommodated. 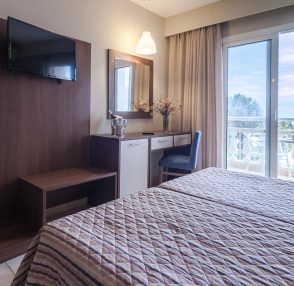 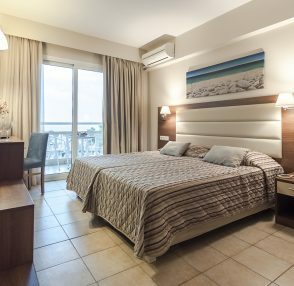 All rooms have air-condition (in the main bedroom only) and satellite TV (in the main bedroom only) and are equipped with a mini-fridge. 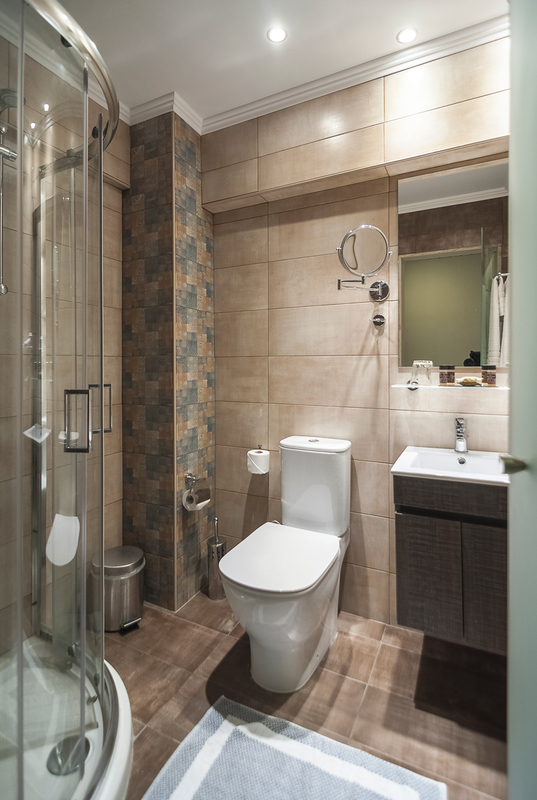 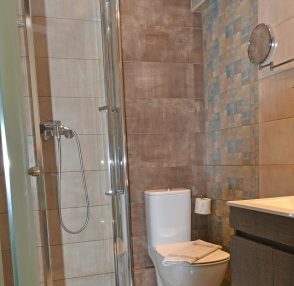 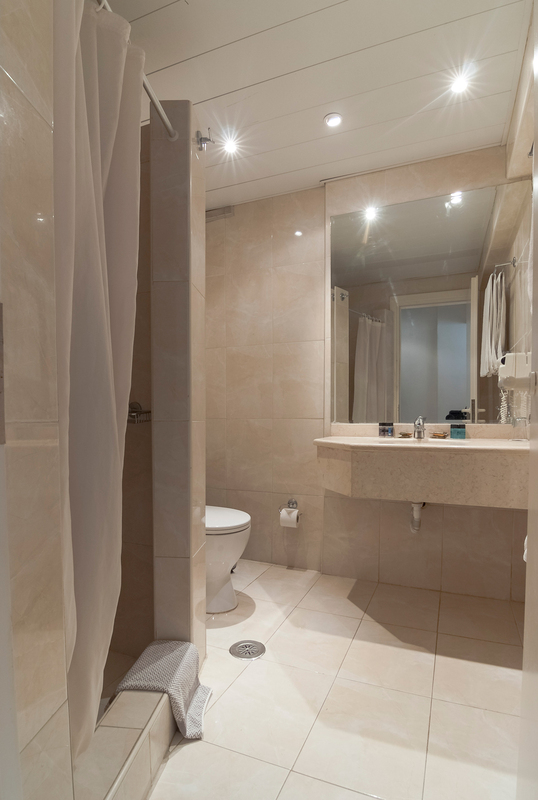 The bathroom is equipped with a shower and hairdryer (in some rooms the hairdryer has to be requested at the reception with a small refundable deposit). 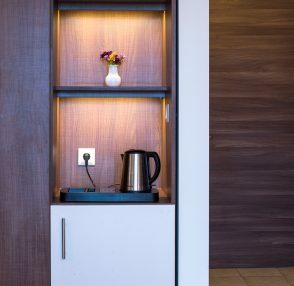 Wi-Fi access is accessible upon request and for an extra charge. 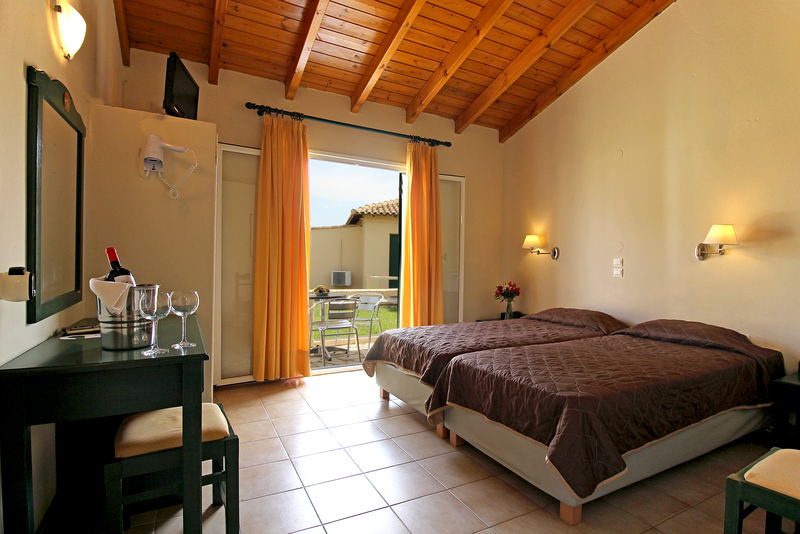 This type of room has garden view and can be accommodated in the bungalow area or in the main building.